Editors note: The following article was originally posted during the 2015 contract negotiations between the Oakland Unified School District and its teachers union, the Oakland Education Association. The Oakland Unified School District and the Oakland Education Association (the teachers union) have reached a tentative three-year agreement that is a step towards building the community of teachers and high-quality schools we need in Oakland. We believe that Oakland teachers need a major raise. But the details are complex. Check this page for the latest contract news and analysis. What is GO’s Perspective on the OEA-OUSD Contract? Updated 6/3/2015: Over 70 percent of teachers that voted approved the new contract. To read more, click here. Updated 5/27/2015: Here is our FAQ in response to some of the questions we have been asked. To read more, click here. Updated 5/19/15: The full 35-page OEA/OUSD tentative agreement can be read here. Updated 5/17/15: GO’s perspective on the tentative contract agreement. Updated 5/15/15: Oakland Tribune article on the tentative three-year deal. Updated 5/14/15: New tentative three-year agreement: Click here for summary. Updated 5/14/15: San Francisco Chronicle article on OEA/OUSD agreement. Updated 4/29/15: New tentative agreements and conceptual agreements. Updated 4/21/15: New tentative agreements. 4/1/15: In this talk hosted by KQED Radio’s Michael Krasny and featuring Jill Tucker (education writer for The San Francisco Chronicle), Trish Gorham (President, Oakland Education Association), and Troy Flint (spokesperson for the Oakland Unified School District), they discuss the ongoing dispute and the impact of the “work-to-rule” practice on classrooms. 3/21/15: What steps need to be taken to help us understand how we might fund a larger raise for teachers? How do Oakland teacher salaries stack up? 3/5/15: Our analysis of how OUSD teacher salaries, benefits, and total compensation compare to practices in other regional and similar school districts. 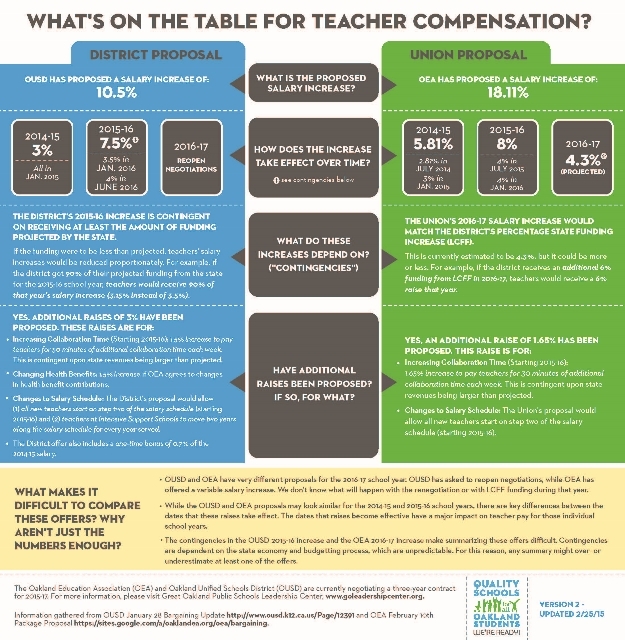 Updated Infographic: What’s on the Table for Teacher Compensation? 2/25/15: The district has increased its raise offer. Click here to download the new infographic outlining the current proposals on the table. 2/25/15: The district contract proposal includes changes to how teachers would be assigned new positions when their positions are eliminated. Click here to read the article. 2/5/15: The district has put forward a comprehensive offer that includes all their proposed changes to the teacher contract. The offer includes some changes to the raise offer including a faster timeline to the raise. The OEA is scheduled to respond by February 10. Click here to read more. 2/3/15: “Teachers at 15 Oakland schools, hoping for a bigger raise and a better contract, are heading out as soon as the last bell rings…parents have become increasingly frustrated with the labor tactic, which has been going on for more than a month.” Click here to read more. 1/28/15: Education advocates across the city agree that Oakland teachers need a big raise. A recent report shows that Oakland teacher salaries are among the lowest in the nation. Now the challenge is in getting the details right. Critical questions include: How much of a raise? Over what time period? Where do the funds come from? Click here to read more. 1/27/15:“The vast majority of our school staff do the work out of love and view this as a profession. Teaching is not a factory job based on timecards and shifts, and student needs don’t end when the bell rings. Most teachers give immensely to our students. So it is incumbent upon the district to listen to teacher needs and respond, and to do it quickly. Similarly, the union needs to recognize that we can’t serve our students better by doing it under the exact same conditions, just with more pay. Nobody can be satisfied with where we are in Oakland, and it’s incumbent upon us all to get together to make the changes kids need.”Click here to read more. 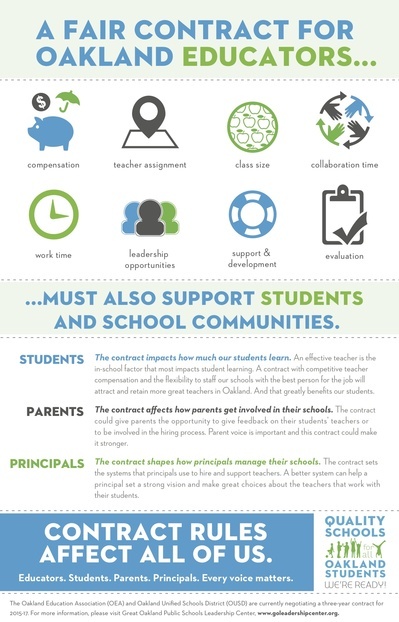 1/23/15: Key elements of the OUSD-OEA contract negotiations are teacher transfer and assignment systems. 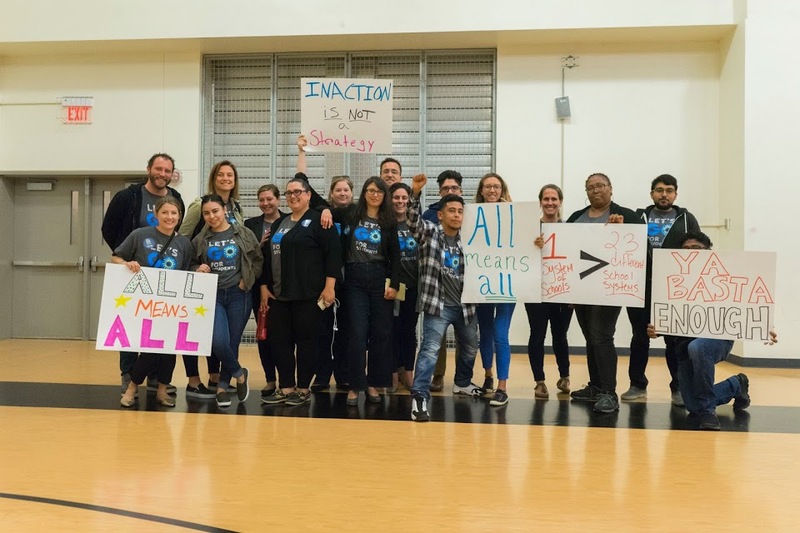 The district’s current proposal would move OUSD from a system where seniority is the sole factor dictating where teachers can transfer to one that would increase school community voice and allow sites to select their educators. Over the past 15 years, OUSD has moved to give greater decision-making power to schools. Click here to read more. 1/7/15: This contract will significantly affect our educators’ working conditions, from their salaries to their class sizes to the way that teachers are assigned to schools. 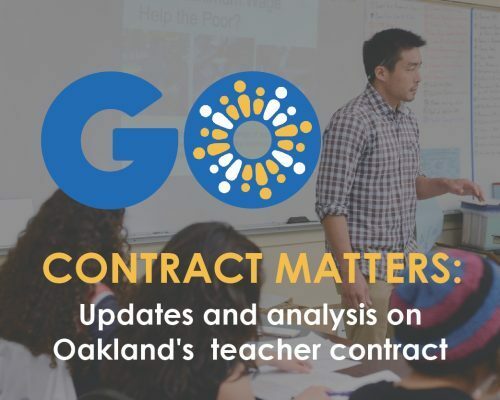 And this contract impacts not just teachers but everyone involved in Oakland schools: Students, and how they experience school; Parents, and how they get involved in their schools; Principals, and how they manage their schools. Click here to read more. 12/19/14: The district is proposing a key change in the way that teachers are assigned to schools. Currently, seniority is given preference over other factors. The proposed change would give school communities a voice in hiring teachers for our schools. Committees of teachers, other staff, and parents would recommend candidates to principals. This will enable schools to build stronger teams around a common vision, and help transform some of our lowest-performing schools. Click here to read more. 12/9/14: Teachers need a big raise. Our teachers are among the lowest paid in the country (adjusted for cost of living) and Oakland educators deserve much better. Every year, 20 percent of teachers leave, many to teach in cities that pay better and have a lower cost of living. This teacher churn is not good for students or schools. Increasing teacher pay is a critical step in stabilizing our teacher force and keeping great teachers in Oakland. Click here to read more.